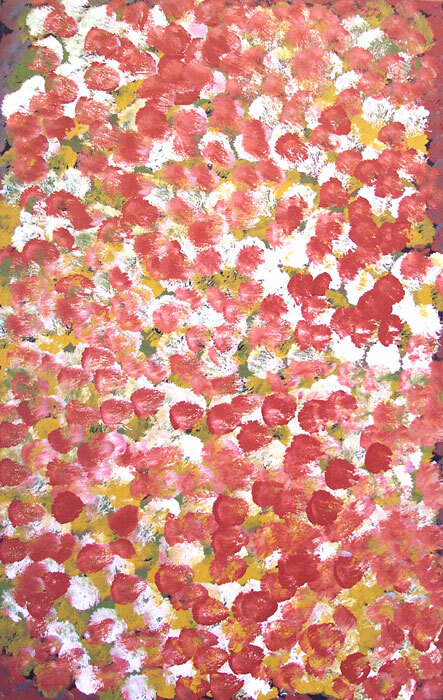 Alhalkere is the name of the country of Emily Kame Kngwarreye’s father and grandfather. The site gained its name from a distinctive rock formation of the same name, eroded away from the escarpment. Alhalkere is the home to the Yam Dreaming site from which Emily takes her bush name, kame.